Lim began with Brahms' Prelude and Fugue in g minor, WoO 10, a massive offering that ended quietly. Next, from a slightly earlier romantic, were two pieces from Robert Schumann's Six Fugues on the "Name of Bach" Op. 60. The first, "Mit sanften Stimme" ("with soft voices"), was slow, mellow, and meditative. The second, "lebhaft" ("lively") provided some much needed contrast, with rapid staccato lines that were phrased consistently in the pedals. This group was completed with Sonata No. 17, Op. 181 of Rheinberger, rather slow, played in the legato typical of this period. A major contrast followed: Bach's Toccata, Adagio, and Fugue in C major (BWV564). The Toccata was registered brilliantly, performed with some rubato that complemented the inner drive of the piece. In the Adagio - perhaps 3/4 of the way through, there is a shift from a slow solo over a "walking" pedal to some very powerful dissonances, finally resolving into a C major chord at the end. Most organists play the final passage with subdued flutes, but a case can also be made for a much more emotional treatment, perhaps including chorus reeds with a principal chorus. The fugue was lively and well-articulated, and ended with an emphasis not ordinarily heard. I have always felt a little let down when hearing the typical ending of this fugue and comparing it to some other fugues of Bach (The Passacaglia & Fugue in c minor, BWV582, for example). This success required from Lim some inspired manipulation of tempo and registration. Next Lim played "Pastorale" by David Conte, with a flute solo with dissonant ornamentation and a jazz-like structure that provided a very pleasane effect. Frank Bridges' Adagio in E Major (from 3 Pieces for Organ, H. 63) was similar in spirit. It was like the calm before the storm, Jean Guillou's "Ikarus" (from Sagas, Op. 20) which featured descending arpeggiated figures in manuals and pedals. Recall that Ikarus tried to escape from Crete using wings made of feathers and wax, was warned by his father Daedalus not to fly too close to the sun, but ignored the warning, and when the wax melted, Icarus fell out of the sky and drowned. Last on the program was Duruflé's Prelude and Fugue on the Name of Alain, perhaps his organ masterpiece (Duruflé's ultimate masterpiece, in my view, was his Requiem). Jehan Alain, already an established French organist and composer, died at a young age in World War II, and Duruflé's grief flows through the piece from start to finish, just as his grief over the war flows through his Requeim. Responding to the audience's enthusiasm, Lim played an encore: an elaborate improvisation on the hymn "Great Is Thy Faithfulness". One of the features often found in organ recitals is the inclusion of a hymn to be sung by the audience, to demonstrate the organ's effectiveness in worship. In Lim's recital improvisation served the same purpose: It is easy to imagine a congregation singing with vigor "Great Is Thy Faithfullness" at the end of a service and than being treated to such a musical gift based on what they just sang. 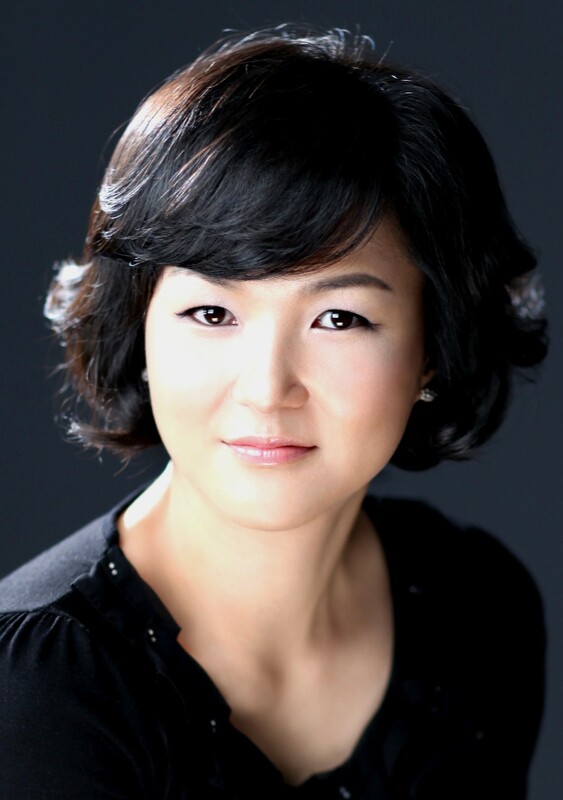 Yoon-Mi Lim played in Jackson 10 years ago, and we hope we hear her again, but before another 10 years passes! and to the MS Arts Commission for its support.